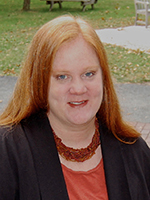 Prof. Bridget Crawford discusses estate taxes in The New York Times article, “Certainty on Tax, but Just for Two Years”. The New York Times story, “Certainty on Tax, but Just for Two Years.” A new tax law enacted by Congress provides tax breaks on income, gifts, and estates for individuals of significant net worth. A key feature of the law is portability, which allows a surviving spouse to use the tax breaks of his or her deceased spouse, even if no will is left. Previous story Professor Randolph McLaughlin’s editorial, “No need to refight a lost battle” is published in The Journal News.